Shopping for Deadpool Pint Glasses? Deadpool times four! 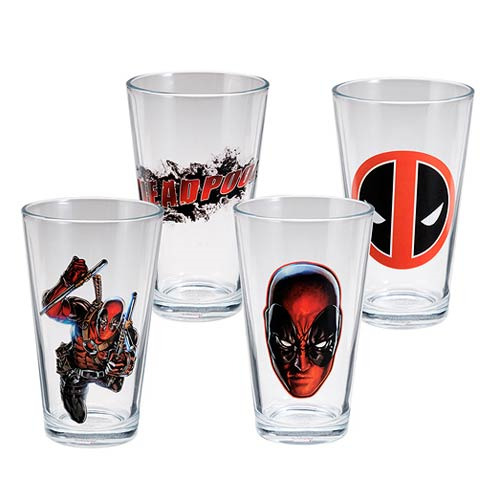 The Deadpool Pint Glass 4-Pack brings you four 16-ounce glasses featuring distinct Deadpool-inspired designs on the front and back. They come in full-color open-window gift-box packaging. Deadpool wants you to buy them. Enough said! Hand wash only. Not dishwasher safe. Do not microwave. Ages 14 and up.